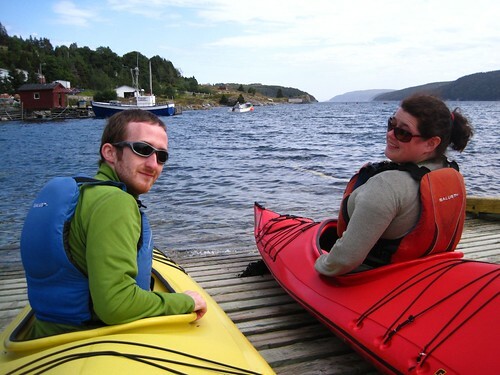 Trip to St. Johns and Ferryland! I had an amazing trip to St. Johns and Ferryland on Sept 11th-13th 2009. I am a part of the social networking group called “couch surfing” and in certain communities or cities there are events planned through this network. 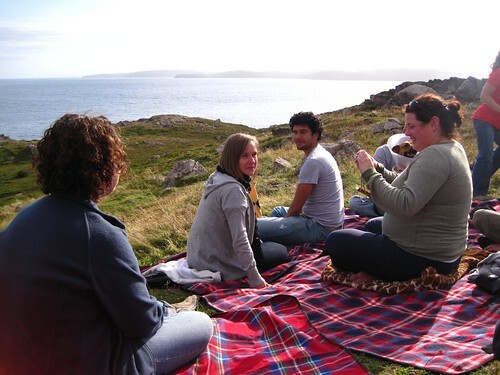 My friend Jenna is an ambassador for the St. John’s area on couch surfing.com and she created a couch surfing meet-up event. 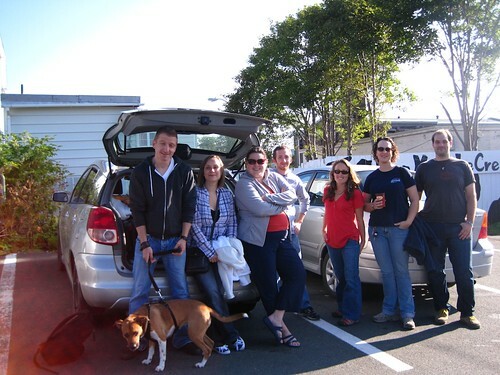 Couch surfers and friends from the area met up for 1 day and overnight stay in Ferryland, Newfoundland. We rented a small summer cottage for the night and we spent our time hiking, sight seeing, kayaking, having a picnic at the lighthouse and of course an awesome beach bonfire at night. Couch surfing is a way to meet new people from around the world and it is also a great way for travelers to meet locals and possibly get a couch to stay on for free! See more pics on my Flickr account. Hiking Gros Morne Mountain on Septermber 6, 2009. I hiked Gros Morne Mountain on Sept. 6, 2009. 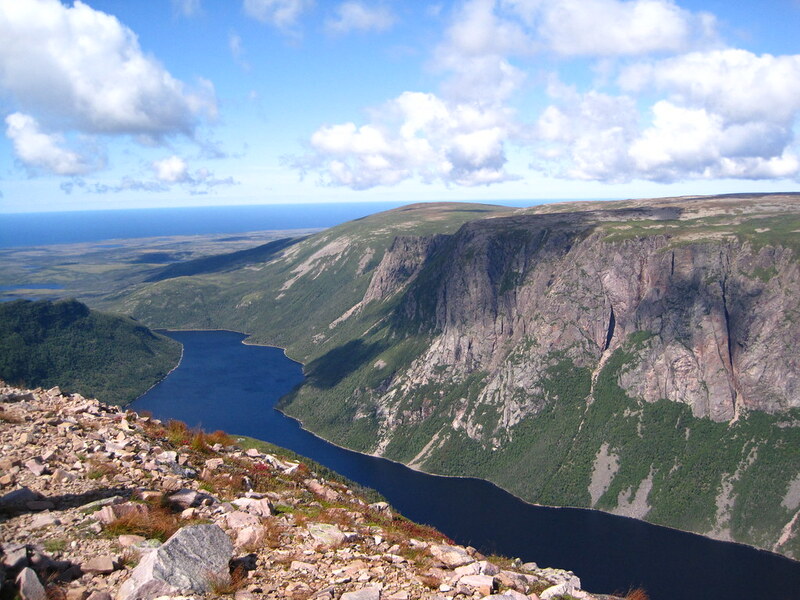 Gros Morne Mountain is located in Gros Morne National Park on the West side of Newfoundland. It was a beautiful day and the breeze kept the bugs away! This seemed like a perfect time of year to hike Gros Morne! 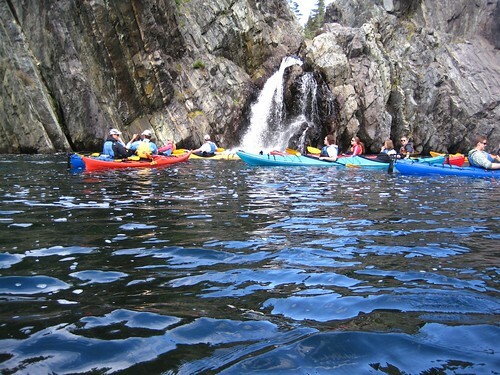 I might do it again next year if I am still in Newfoundland. I snapped this photo with a little point and shoot canon powershot. In my opinion the point and shoot cameras are great to bring along when you’re hiking a mountain! Dolphins swimming close to our boat in St. Anthony, Newfoundland. I just love this photo! I also saved it as my desktop background. I snapped this on Sunday August 23rd at the Arches Provincial Park in Western Newfoundland. I didn’t know what type of flower it was initially so I posted a question on Twitter asking if anyone knew what type of flower it was. I got a response suggesting that it was likely Fireweed. I did notice that there was some burnt forest near the area that I took this photo so I believe that it is Fireweed. Beautiful flower…isn’t it?